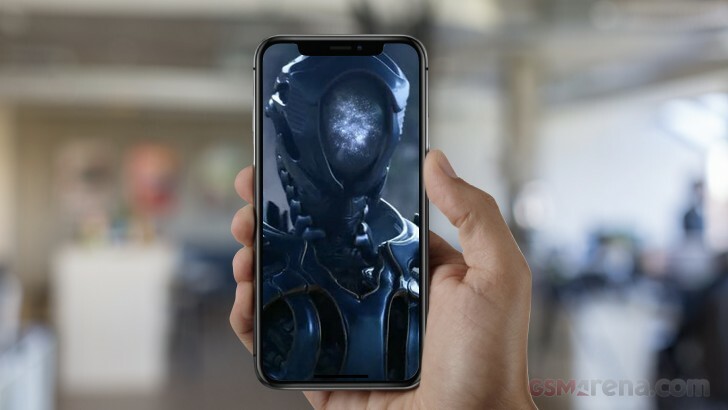 Among other things, for a smartphone to be bang on trend these days it needs, a tall 18:9 display with minimum bezels (with a notch thrown in for good measure), a superb camera system and Artificial Intelligence and/or Machine Learning. Artificial Intelligence and Machine Learning are buzzwords being adopted and applied throughout our smartphones makeup, from the System on a Chip, all the way through to the operating system. So, is it just marketing hype, science fiction or is there fact being the fiction? Read on, and we’ll provide a straightforward, and where possible jargon-free overview. Artificial Intelligence is best characterized as the ability for a machine to exhibit practices including learning, behavior, and communication with no discernible difference from ourselves. Surely this belongs in the realms of science fiction? Well, if we ended here, then we’d agree but let’s dig deeper. Taking the AI generalization (General AI) described above let’s narrow it down and pick a specific area that is more relevant for our subject matter – for example, Image recognition, and we’ll call this Narrow AI. Now, our smartphones didn’t all of a sudden develop the ability to recognize and differentiate between a car and a plate of food overnight. It was taught. The ability for a smartphone to ‘truly’ learn something new in its purest form, that is, without intervention, is still a ways off. I was part of a team that launched a loyalty card scheme for a major UK retailer, which today has circa 16 Million card holders. Now imagine the volume of data that we were collecting. A customer database containing all the information that all 16 million provided during the registration process including gender, age, children, address which we only added to overtime. A transaction database where every item purchased including date, time, store associated with that customer. What insights and intelligence our systems would give us – but the reality was somewhat different. We didn’t arrive at the office one day, to discover our insight systems had given a ‘truth’ or trend that we hadn’t contemplated. No, our insights were directly answering questions that we asked – how many women, matching a particular demographic, hadn’t purchased a specific brand of perfume for example. We could take that insight and attempt to brand switch them. This was data mining, albeit on a massive scale with rules and logic created by us. Now back to our smartphones, this is where Machine Learning enters the frame. Taking a practical example – Apple Photos People Album and let’s assume for one moment that we’ve never ‘tagged’ anybody previously. When you first view the People Album it only shows photos where the geometry of a ‘face’ has been identified, no names. Pick a face with no name, select it and give it a name. It will then attempt to confirm that another face is this person, at this point it’s only got the first face to work with so the offered up face the second time may be way off. So you tell it ‘yes’ or ‘no’ and repeat.eat. With every iteration it’s learning more and more about that face from different angles, varying hairstyles, and what happens as it ages and so on. You, therefore, reach a point where you take a picture of that person, and it’s automatically tagged with the right name. This is a prime example of Machine Learning being used to enabled Narrow Artificial Intelligence. In our above example, we put in the effort to teach our smartphone about the faces of our friends as they’re unique to us. In our camera apps and supporting silicon that effort has already been put in by other companies providing a baseline. They’ve utilized Machine Learning to log and categorize a plethora of photos, so when you frame that perfect plate of food you’re about to eat, your smartphone knows and applies the appropriate filters to take the best possible photo and tag it as a particular food type. In the future, these Narrow AI areas will be expanded to better work together. Sticking with our face recognition theme, the iPhone X uses AI within Face ID to learn your face to unlock your iPhone in a multitude of different scenarios. 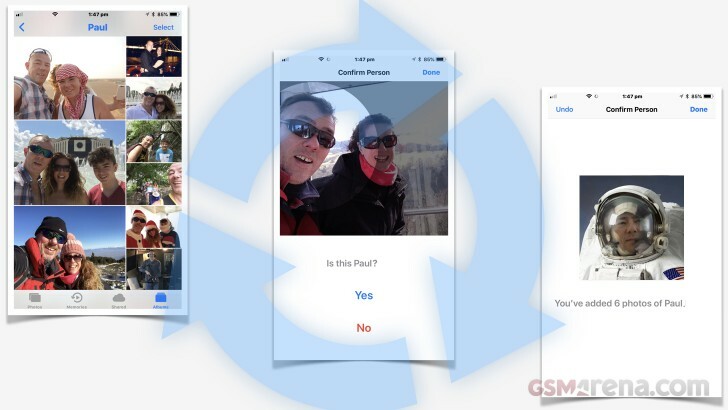 Imagine a future where that process is automatically extended to the Photos app to better know about your face to assist in either the initial recognition phase or the addition of further pictures. At this juncture it’s pertinent to talk about silicon. When manufactures reference AI elements within their silicon, consider this in a similar vein to the Graphics Processing Unit (GPU). Whereas the GPU providers developers with a set of efficient accelerated API’s, for example, to display a polygon, within a specific coordinate space, and with a colored texture. The Artificial Intelligence silicon provides an efficient accelerated set of API’s that via neural networking support AI-related tasks. Their neural network hardware can perform up to 100’s of billion operations per second. Fret not though, if your smartphones chipset doesn’t contain any dedicated AI silicon, the process will be undertaken in software. 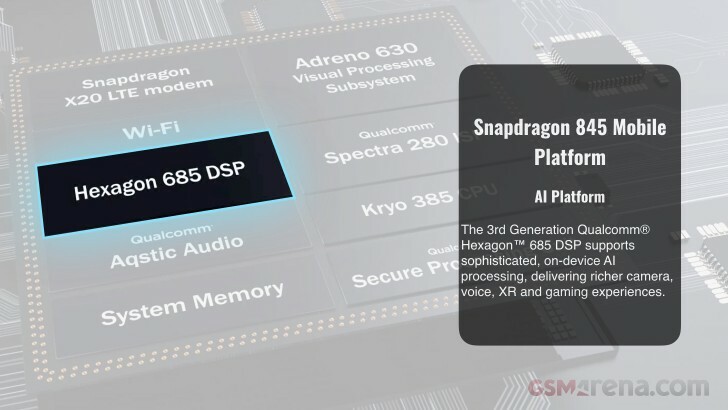 It will be less efficient as it can’t call on the support of the dedicated accelerated silicon but will use the GPU primarily and in some cases the CPU. Until recently, while AI was accessible by the OS for its built-in apps and processes, it was harder for developers to implement local on-device AI tasks within their apps. In order to do so, they had to bring their own AI along for the ride or plug into a 3rd party provided framework such as Amazon’s AWS Machine Learning. The landscape has changed though as both Android 8.1 and iOS 11 provide API’s allowing developers to bring Machine Learning easily into their apps. The Android Neural Networks API (NNAPI) is designed for running computationally intensive operations for machine learning. NNAPI is designed to provide a base layer of functionality for higher-level machine learning frameworks (such as TensorFlow Lite, Caffe2, or others) that build and train neural networks. Core ML is foundational machine learning framework used across Apple products, including Siri, Camera, and QuickType. Companies live and die by our data privacy utilizing some different approaches to ensure this. For some, the data never leaves the phone, and if it does, it’s tokenized. While for others encrypted data in the cloud provides additional opportunities to enhance and enrich the experience. Moving forward, a level of permission sharing among friends and family will provide additional time-saving benefits to us all. Sticking with our theme of face recognition, sharing and receiving all the learning undertaken by a family and close friends ensures that if someone has put effort into teaching their photo library about their sons face, that knowledge is passed onto automatically to be applied to ALL their libraries. On device app/system management to further maximize battery life. One final point before we sign off, if we ever see standards emerge in this arena it can potentially allow your intelligence to be shared between different manufactures devices and services. We know – wishful thinking. So don’t worry just yet. Your smartphone isn’t capable of becoming self-aware in a similar vein to Skynet and tries to terminate you when you next lift your phone to your ear. What we are seeing is that now more than ever before, the ‘smart’ part of our phones is truly starting to earn its moniker. So, for now, let’s enjoy all the benefits that Artificial Intelligence through Machine Learning brings to our everyday interactions with our devices.